Miss Donna Koh of CHIJ St Theresa's Convent shares about the importance of working in partnership with parents to provide opportunities for students to cope academically and emotionally. When Graphael How, a Secondary Two student at St Theresa’s Convent, was offered the chance to take Mathematics and Science at a higher-level, she was apprehensive if she could manage the subject although she had done well for both subjects during PSLE. With the support and advice from her parents and teachers, she decided to muster her courage and give it a try. “I was glad that my parents and teachers were supportive and encouraging. Initially, it was challenging to cope but their motivation inspired me to strive harder and the sense of achievement propelled me to continue doing my best,” said the fourteen year-old. Subject-based banding (Secondary) was introduced in 12 prototype schools in 2014 to provide greater flexibility in subject offering from lower secondary levels, and Graphael was one of the students who took subjects at higher academic level even though she was studying in the Normal (Academic) stream in Secondary One. It caters to the strengths of students in different subjects. Not only has the opportunity to take subjects at a higher level been a morale booster for the students, they also get to prove and challenge themselves to achieve greater heights. “It was overwhelming initially due to the intensity of the lessons, it was much faster than what I expected. However, taking the subject at an advanced level motivated me to challenge myself and improved my attitude towards learning,” said Mohamad Rifa’i B Mohamed, a Secondary Three student at Queenstown Secondary School. Rifa'i did not stop there. He went on to help his classmates and was surprised that he was able to explain the concepts well, which benefited not just himself but also his friends. Mdm Vijayarani Govindasamy of Queenstown Secondary School attests to how SBB has not just helped her students grow academically, but also in their personal development. “We see renewed passion in our students and it does not just apply to the subject itself, but also in the development in the students’ confidence level, self-esteem and attitude towards learning. More importantly, they worked towards being a role model to their friends,” opined Mdm Vijayarani, who has been teaching a SBB class for Tamil language for the past four years. It may be tempting for parents to have certain expectations of children whom have shown the capacity to take subjects at a higher level. 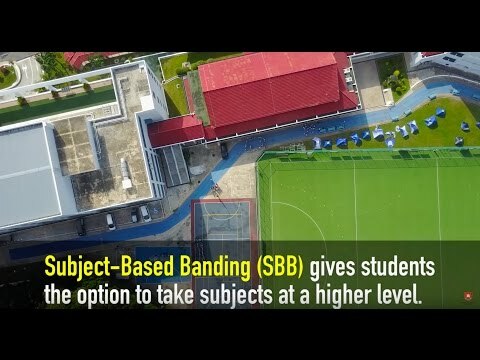 However, Miss Donna Koh of CHIJ St Theresa’s Convent warns against such tendencies and also provides some tips to parents whose child may have been given the option for subject-based banding. “Students must feel that that they can cope academically, but also emotionally. All of us, educators and parents, want our children to do well. Learning must be an enjoyable process for our children and it should not be overly fixated on grades. It is not an easy task for the students so we certainly hope that schools can work in partnership with parents in providing as many opportunities as possible for them to excel,” shared Miss Koh, who will see her pioneer batch of SBB (English) class take English at O-levels at the end of the year.